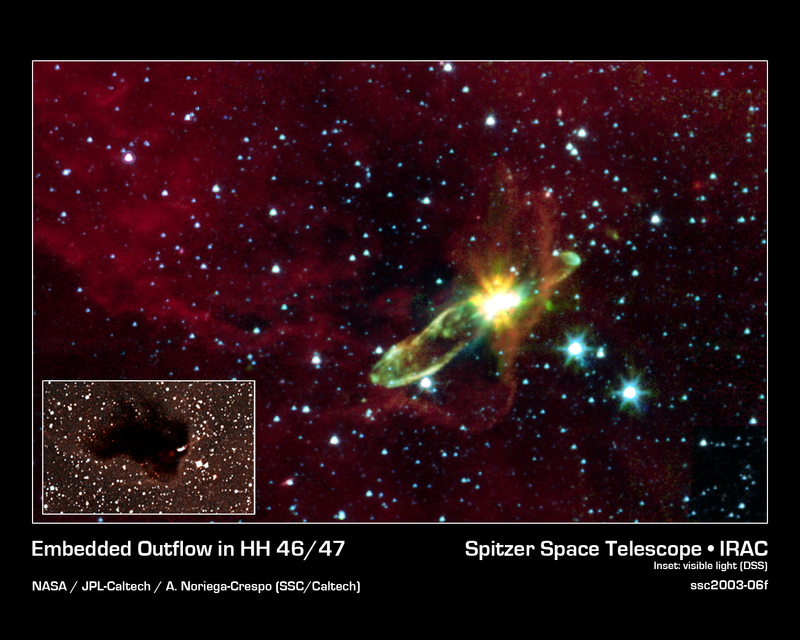 Explanation: High-speed outflows of molecular gas from a young stellar object glow in infrared light, revealing themselves in this recent false-color image from the Spitzer Space Telescope. 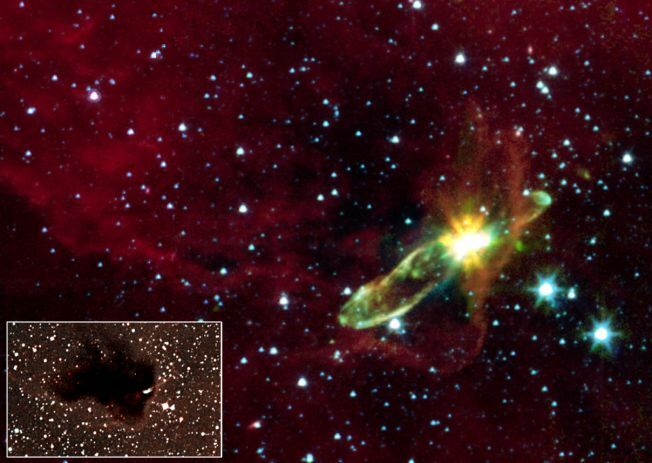 Cataloged as HH (Herbig-Haro) 46/47 the infrared source is lodged within a dark nebula or Bok globule - near the lower right corner of the dark nebula in the optical inset - that is largely opaque when viewed in visible light. The energetic outflow features extend for nearly a light-year, burrowing into the dark interstellar material, and are attributed to early stages in the life of a sun-like star. They may well represent a phase of our own Sun's evolution which took place some 4.5 billion years ago, along with the formation of our solar system from a circumstellar disk. A tantalizing object to explore with Spitzer's infrared capabilities, this young star system is relatively nearby, located only some 1,140 light-years distant in the nautical constellation Vela.